Studio Ghibli’s animated features are loved the world over, with classic titles such as Spirited Away, My Neighbor Totori and Kiki’s Delivery Service. 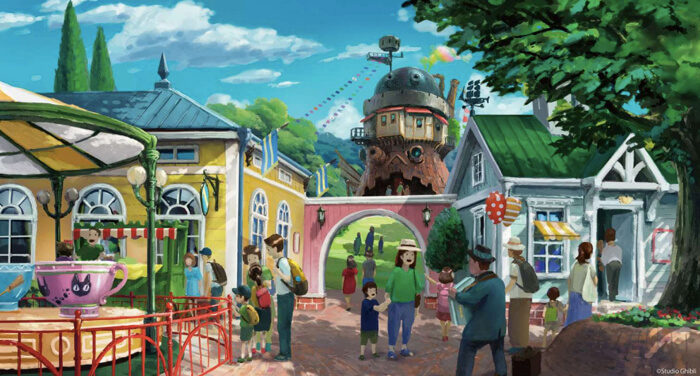 Plans for a Ghibli theme park are now in place and it is scheduled to open in Aichi Prefecture in 2022. The exact location will be Ai-Chikyu Haku Kinen Koen, also known as Moricoro Park, which is where the Expo 2005 World’s Fair took place. 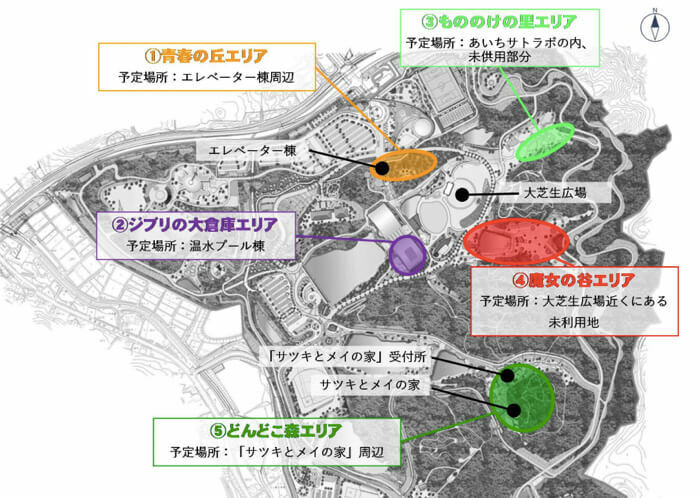 Let’s take a little look at some of the park’s areas that are currently under construction. The ‘Hill of Youth Area.’ Right at the entrance is the main gate’s elevator tower, which is being established as a landmark. It takes inspiration from Howl’s Moving Castle, incorporating a design based on late-19th century sci-fi elements. It plans to be a symbolic structure of the main gate. 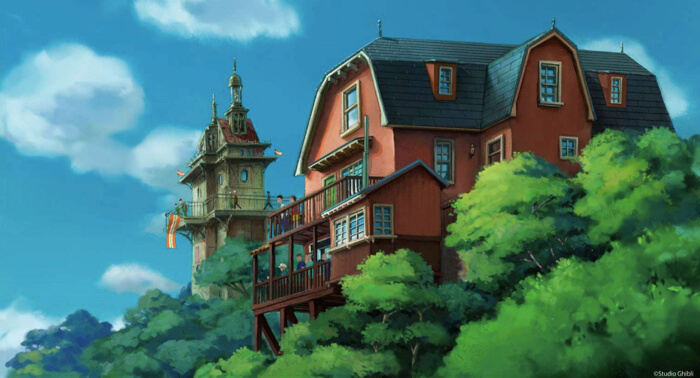 Next to the elevator tower will be the antique shop as seen in Whisper of the Heart. 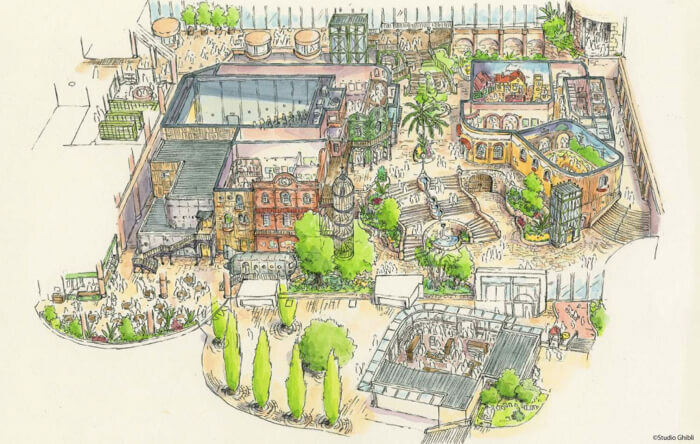 The ‘Ghibli’s Great Storehouse Area.’ The warm water pool currently being managed at Moricoro Park will close in September 2018 and undergo renovation to be turned into the new Ghibli storehouse area. This area will be a collection of storehouses littered with lots of exciting Studio Ghibli displays. Everything here will be indoors, so it won’t be affected by the weather, allowing people to enjoy their time seeing all there is to see. Lots of planned for this area including item exhibition rooms, video exhibition rooms, a play area for children, and more. The ‘Mononoke Village Area.’ To harmonize with the Japanese landscape, places like the Aichi Satorabo fields at Moricoro Park will take inspiration from the international sensation Princess Mononoke, with the construction of the Tatara factory and more. There will also be art displays of the Tatari Gami demon, Lord Okkoto boar god and others from the film. The entire area will be turned into a Princess Mononoke village. The ‘Witch Valley Area.’ This area will take on the theme of two films imbued with magic: Howl’s Moving Castle and Kiki’s Delivery Service. 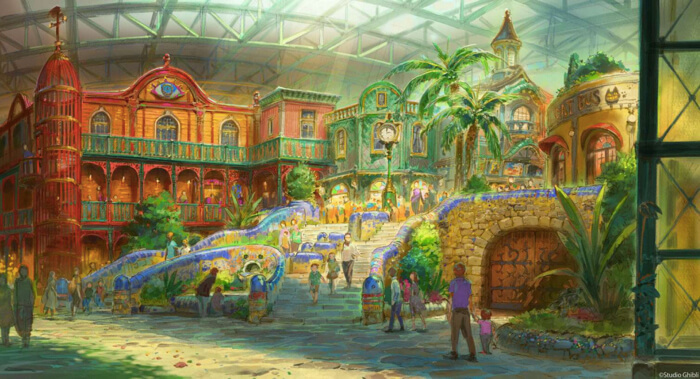 Expect to see Howl’s Castle and a play area based on Kiki’s house amongst other attractions. The colourful streetscape will be as if you’ve been sucked right into the films themselves! The ‘Dondoko Forest Area’ is Totoro themed. Satsuki and Mei’s house is already built here. 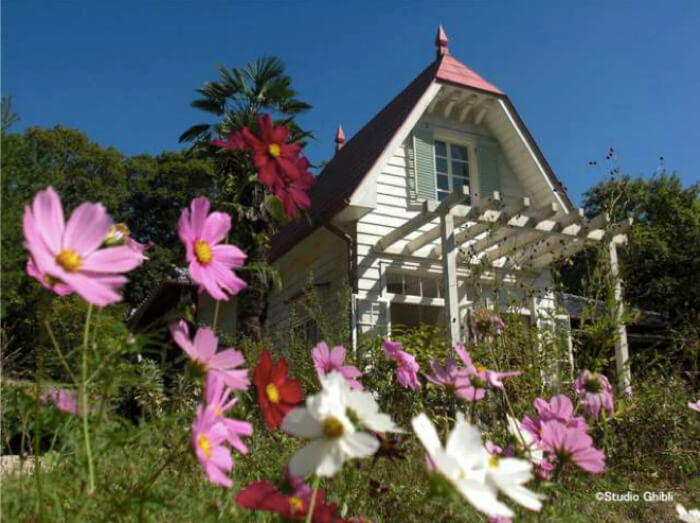 A reception area will be built and the path in the forest behind the mountain will be renovated to enhance the surrounding area of the house even more. The area’s name comes from the ‘dondoko dance’ that Satsuki and Mei do with Totoro to make the seeds they planed grow even quicker. 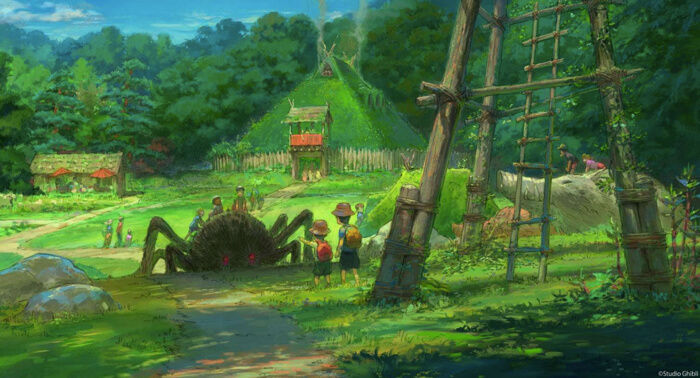 We can hardly wait for the opening of the official Studio Ghibli theme park in 2022! Access: From Nagoya Station ride the subway for approximately 30 minutes to the last stop which is Fujigaoka Station. From there, ride the Linimo for approximately 15 minutes and get off at Ai-Chikyu Haku Kinen Koen Station.